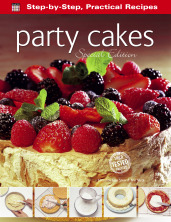 This time I have given you a recipe which serves four, as there are sure to be several seasonal social gatherings on the agenda. 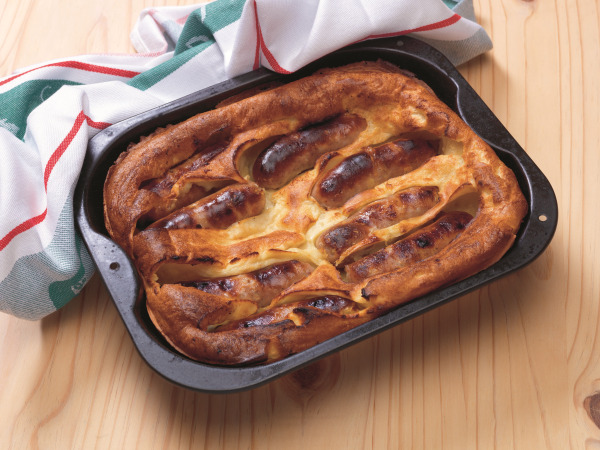 How about making toad in the hole with all the trimmings as a house meal for you and your friends? Or treating your parents to a night off from cooking when you are back home over the holidays? With such a delicious dish they are bound to thank you for it! 1. Preheat the oven to 220˚C/425˚F/Gas Mark 7, 15 minutes before required. Lightly prick the sausages and reserve. 2. Sieve the flour and salt into a mixing bowl and make a well in the centre. Drop the eggs into the well and then, using a wooden spoon, beat in the eggs, drawing the flour in from the sides of the bowl. Gradually add the milk and beat to form a smooth batter without any lumps. Allow to stand for 30 minutes. 3. When ready to cook, pour the oil into a 25.5 x 20.5 cm/10 x 8 inch roasting tin. Heat until almost smoking and then add the sausages. Carefully turn the sausages in the hot oil and return to the oven for 5 minutes. 4. Remove from the oven and turn them over again. Stir the batter well and pour over the sausages. Return to the oven and cook for 35–40 minutes until the pudding is well risen and golden brown. Serve immediately with seasonal vegetables and roast potatoes. If you enjoyed this recipe check out our other blog posts in this series for a great variety of easy recipes for college students, or grab yourself a copy of The Student Cookbook.